Move on in! 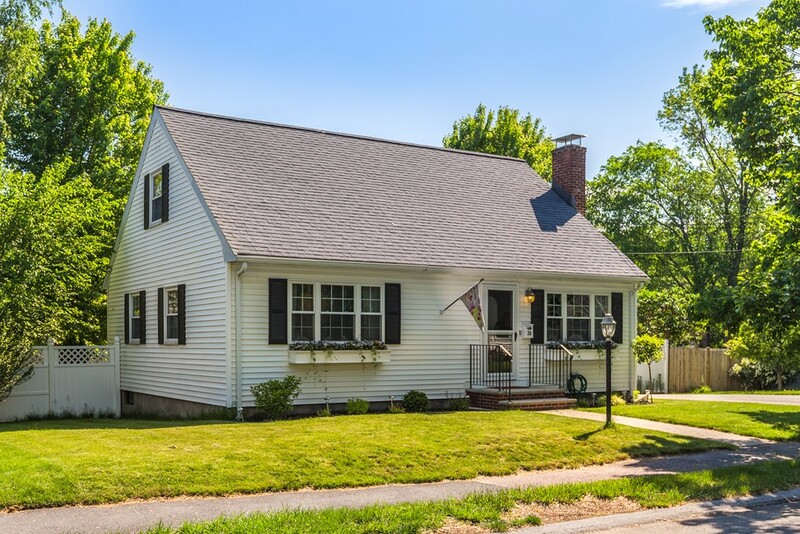 This Wakefield Cape is a delight with its updated kitchen and bath, beautiful hardwood floors, custom built ins, and spacious yard and deck. Freshly painted interior in today's preferred colors, means you can just move in and not spend extra time making it look like the house you've imagined. The living room has hardwood floors, built-ins flanking the fireplace and a picture window. The kitchen is bigger than most Capes, thanks to the attached 9 x12 dining area. Two spacious bedrooms on the first floor plus a full bath make it easy to live on just the first floor, but upstairs you'll find two additional bedrooms (and space to possibly add a second bath, if desired). The finished basement is great space for a family room or playroom. The West Side neighborhood is convenient to the lake, highway, commuter rail and the best of downtown Wakefield. Updates in the past 3 years include the boiler, oil tank, hot water heater, and appliances.